Interacting with the city's traders in Davanagere, Rahul Gandhi said if voted to power, Congress would free these institutions from the RSS control. 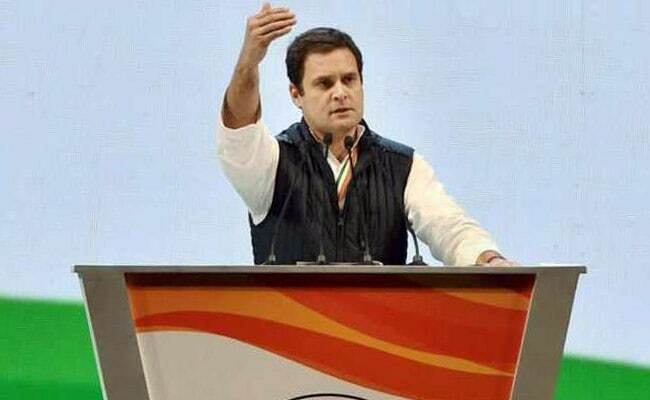 Davanagere, Karnataka: Congress president Rahul Gandhi on Wednesday accused the Narendra Modi government of "disrespecting" and "demolishing" various institutions by having RSS men "sitting in every ministry and giving orders." Interacting with the city's traders in Davanagere, Mr Gandhi said if voted to power, the Congress would free these institutions from the RSS control. "I don't know if you all know that in every single minister's office, there is an RSS man sitting and giving orders. So what can you expect... nothing but disrespecting the institutions. The banking system of the country has been demolished by having this structure," he said. Mr Gandhi had Tuesday targeted Union Minister Piyush Goyal for his alleged links to the promoter of a company in default of Rs 650 crore. Mr Gandhi said former RBI Governor Raghuram Rajan had advised against demonetisation. Mr Gandhi said the banks should give loans also to small and medium scale entrepreneurs, but this benefit is being usurped by 15 big names in Indian business.